Custom Transformers - Agile Magnetics, Inc.
At Agile Magnetics, our state-of-the-art custom transformer solution services extend back to our founding in 1992. Since then, we have become the manufacturer of choice for customers who require precise, efficient transformers across a range of industries. 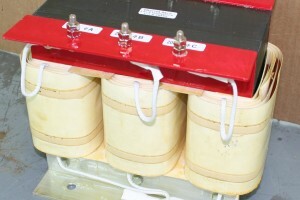 Custom transformers can be vital to your OEM project. Agile Magnetics understands that your units can only function if the magnetics are right. We provide quality designs and repeatable manufacturing solutions to meet your needs. Our staff of electrical, manufacturing, and quality engineers work in unison to ensure that on-paper designs can and will be manufactured in a reliable, repeatable, and controlled process. Our customer service and sales departments also work to ensure that you are treated with the respect and timeliness that your position requires. 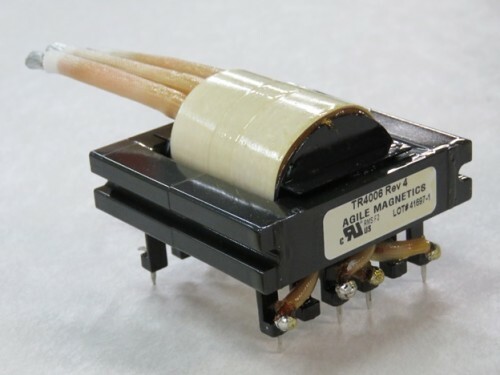 Our experience encompasses high frequency transformers constructed of all different materials, manufactured to our customers’ precise specifications. Converts three phase power available from your electrical service to voltages required by your machinery. Provides an economical solution for applications in which the voltage varies by only a small percentage. Provides isolation, protecting the end user from exposure to the main power supply, and can step up or step down the voltage. These transformers relay current and voltage from a specific power source to a variety of different components. Crafted with precision magnetics, provides solutions for light instrumentation to military projects. Prevents signal interference and directing power between independent circuits without direct wire connections. Designed to produce right-angle pulses and help to balance electrical signals. From concept and design through prototyping and full production, Agile Magnetics offers industry-leading quality. We are ISO 9001 compliant, and our products can be manufactured to UL / CUL / VDE and CE, with UL and CUL markings when required. To learn more about our services or request a quote, please contact us today.